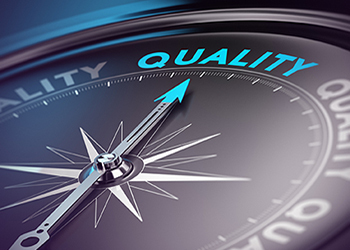 Ensuring that high quality results are consistently produced requires that an effective Quality System is thoroughly embedded in an organisation, both in terms of documentation and of culture. Experts in Principal Forensic Services are thoroughly steeped in ways to develop, implement and continue to improve effective Quality Systems. The ISO9001 standard, which specifies requirements for a quality management system. It does not in itself demonstrate the competence of the laboratory to produce technically valid data and results. The ISO17025 standard, which specifies general requirements for the competence of testing and calibration laboratories, and is widely considered to be the most appropriate quality standard for forensic laboratories. The Codes of Practice and Conduct for forensic science providers and practitioners in the Criminal Justice System, developed by the UK Forensic Science Regulator (FSR). have in-depth knowledge and experience of implementing methods to assure quality, such as ways of minimising and monitoring contamination, be it in relation to DNA, gunshot residue or any other trace evidence. Principal Forensic Services offers consultation on any aspect of quality management and assurance, including audit, troubleshooting, establishing a Quality System, drafting or review of Quality System documentation, preparing for and gaining accreditation and validation of novel methods, products or services.